DANCING OF BEES is a message about the source of nectar and pollen, about a tree with propolis to seal cracks in the hive; about finding water sources or new location suitable for nest building. In the presence of abundant food of source the dancing mobilizes bee colony to work. Carniolan bee has gray and silver body color. Worker bees have the proboscis of 6.4-6.8 mm. Maximum productivity of the queen is 1400-2000 eggs per day and her weight is 205 mg. Krajina and the Balkans breed spread throughout the world. Experts say that this breed combines the good qualities of the Carpathian and gray Caucasian bees. Carnioan bees better hod the winter than the Caucasian. 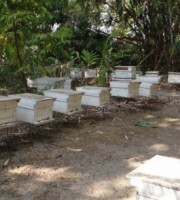 Bees are peaceful and quiet, the family develops rapidly in the spring and early so they effectively use honey plants. Rare swarming may be noted, which does not exceed 30%. With timely anti-swarming activities can easily be switched from swarming to the working state, from the bad honey crop to the good. They at first fill with honey the breed part of the nest, and then stores. They are used for pollination of red clover. We all love to read about the “-est” animals: the biggest, the most poisonous, scary, long, etc. And this is because they are unique. So we decided to create the article about such animal. 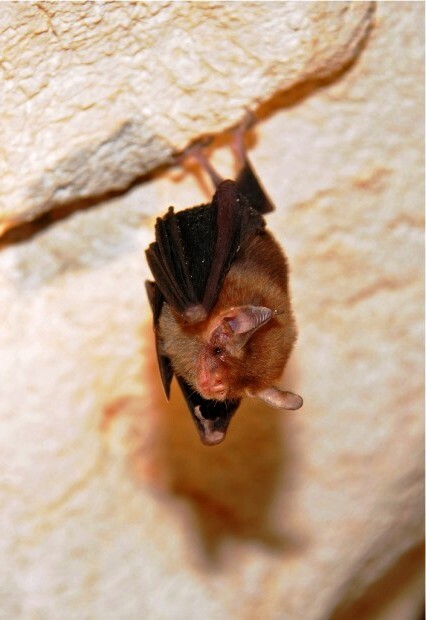 And meet the world’s smallest mammal – bumble bee bat! 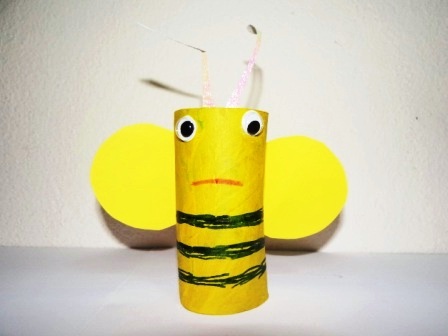 It’s time to write a separate article about bee craft projects with toilet paper rolls, because we had already published a lot of bee crafts. Yellow bees species of Apis metlifica are Italian bees, and then Cyprus, Syrian, Israeli, Egyptian and Saharan bees. Italian bee was imported to the United States before the other bees. It is widespread in the U.S. Italian bees give the largest amount of honey. They are hardy, industrious, sit quietly on the combs, they are beautiful, not inclined to swarm. Most of the Italian bees in the U.S. have three yellow stripes with black edging. Some bees have four and sometimes five stripes. Aboriginal races of Italian bees have only 2 yellow stripes, and the third, near the breast, is not always evident. US-Italian bees are more yellow than the bees in Italy. 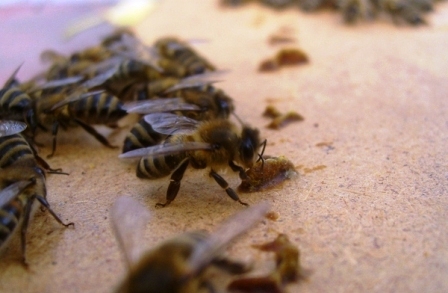 Yellow imported bees have muddy or dark shade. It is widely accepted that the darker the Italian bees, the more peaceful they are, especially if a reason of dark color is cast-blood. In rare cases, the abdomen of the queen is entirely yellow. Most often, the upper body is yellow, but the lower part and the end of the abdomen are black. Yellow and black stripes can also alternate. 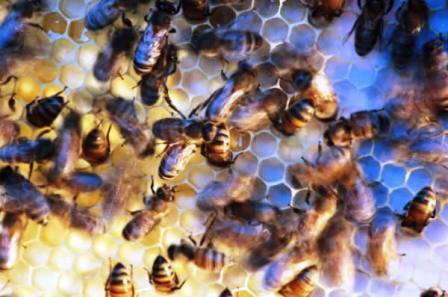 Drones, like worker bees, are striped, but usually their body is dark, sometimes with one or two yellow stripes. Social bees (Apidae) are divided into three general groups: stingless bees (Melipona), bumble bees (Bombus) and honeybees (Apis). 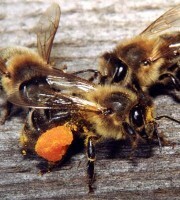 Main type Apis includes Apis dorsata and Apis indica (Indian), Apis florea (dwarf East Indian bee), and finally, honeybee -Apis mellifica, or Mellifera. Members of the species Apis mellifica can be divided into a large number of varieties, or breeds, which are characterized by common features, but differ by body coloration and behavior. Apis mellifica type can be divided into two major groups, black or brown bees and yellow bees, although such a classification may not be scientific. Black, or brown bees are more common. They are found in Central Europe, the UK, North Africa, Madagascar and the Americas. Black or brown bees are very similar by appearance. 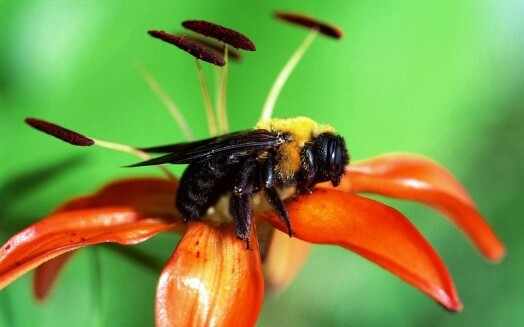 The second group – the yellow bees are primarily Italian bees, that were brought from northern and central Italy to the U.S. and other countries. 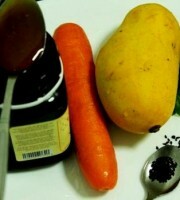 - 100 g of honey give the human body 320 calories, it’s more than in 100 g of any meat. - To collect 1kg of honey, bees have to visit hundreds of thousands of flowers. - To bring 1 liter of water, bees make at least 17,000 flights. - During the honey flow a bee lives 35-45 days. 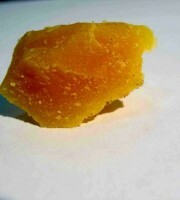 - One kg contains about 10000 bees. 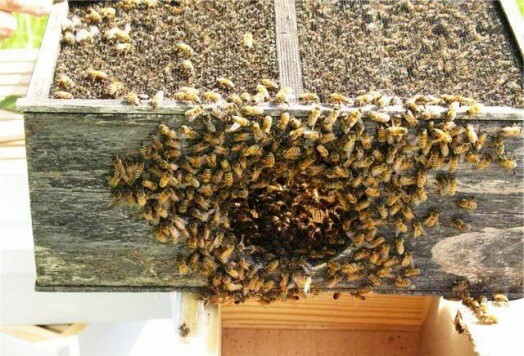 - After the first swarm leaving, there are 40-60% of the bees in the maternal family. Buckwheat. Buckwheat have flowers for bees of open type. They secrete abundant nectar, have a strong smell and attract bees to visit the flowers of buckwheat in the morning and collect nectar and pollen. 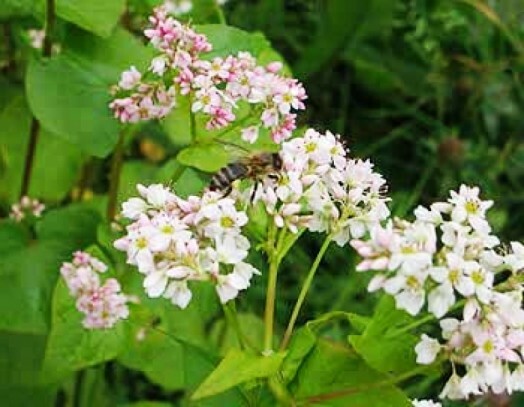 Attendance of buckwheat flowers by bees during the day depends on many factors, but mainly on the concentration of sugar in the nectar and its quantity. Secretion of sugar in the nectar peaks at 10-11 am. The largest number of bees visit the buckwheat from 9 to 11 am, after 1 pm on a clear sunny day there are no bees on the flowers of buckwheat, as they no longer secrete nectar. Pollination by bees increases quantity of seeds on average by 1.5 times. Harvest increases by 26-30%. 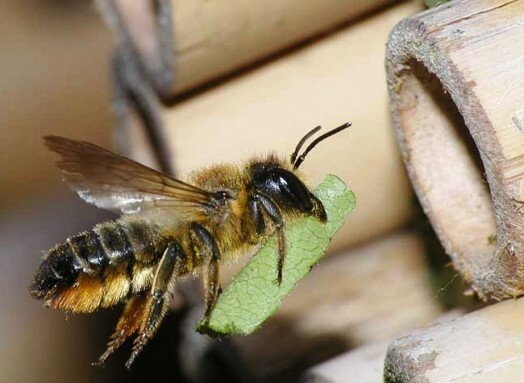 Two families of bees are enough for effective pollination of 1 hectare of buckwheat. Increase of quantity of bees does not increase the harvest. This group includes plants that do not grow or are rarely found in the nature, but they are the best honey plants and sown specifically for honey collection. 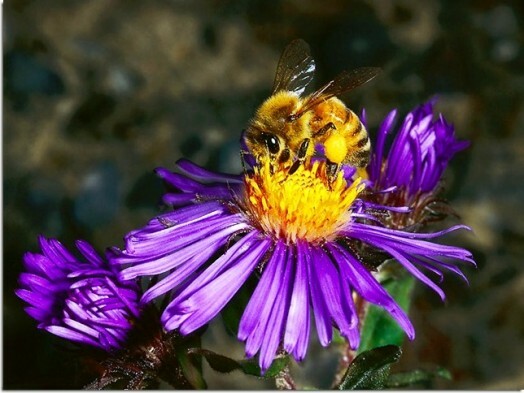 So if you do not know what to plant for honey bees – welcome! 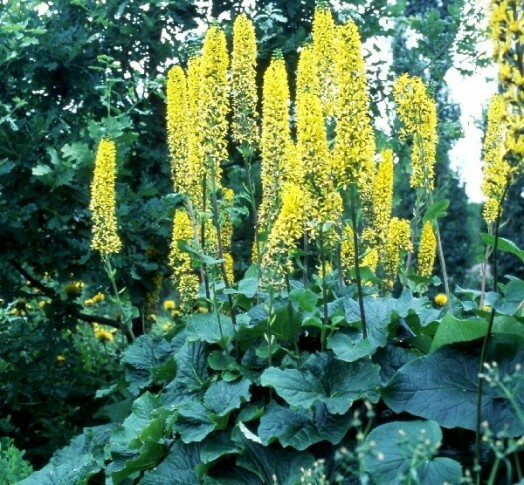 Ligularia sibirica (L.) Cass. It is a perennial herb of Aster family (Asteraceae), 30-125 cm (10-50”) tall. It has ribbed bare stem, in the bottom it is the reddish-purple or green, 15 mm (0.6”) thick. Basal leaves are cordate or ovate, with a deep neckline, jagged, large, 24 cm long (10”), 15-20 cm (8”) wide, on long petioles. The leaves are mostly green, sometimes there are forms and varieties with burgundy or brown leaves. Cauline leaves are smaller than basal, on short petioles. Bracts are slightly pubescent outside. Rhizomes are shortened, with thick lobes of adventitious roots. Peduncles are thick, the lower are longer than the upper. Inflorescence is simple, racemose, consists of 10-50 baskets with the diameter of 2.5-4.5 cm (1-2”), flowers are yellow. It is winter-resistant, winters without shelter. It is a good honey plant. It flowers in July and August. It actively secretes nectar and pollen, so is eagerly visited by bees. LIVE BEES! Such a designation is not written at the entrance to the apiary and is not intended for beekeepers. These cautionary words can be seen on the packages of bees, which are sent in the mail cars, boats and aircrafts.